Wait, Wasn’t Bain Supposed To Be Off-Limits? Well, apparently not every real reporter in the country was ready to take as final the word of a Davos-haunting ex-president and the mayor of the 68th biggest city in the country. Today’s Boston Globe report documenting that Romney’s executive role at Bain continued three years beyond his alleged departure point in 1999, which builds on earlier reporting along these lines, is damaging for any number of reasons. It again calls into question the credibility of a candidate who has been playing hide the ball with his tax records; it opens up Romney to criticism over post-1999 actions by Bain that he had previously claimed no hand in; and it reminds voters of what was really involved in Romney’s outsized success—in his own telling, he made a $100,000 annual salary after 1999, on top of his much larger cut from Bain gains, for doing no actual work for the firm. 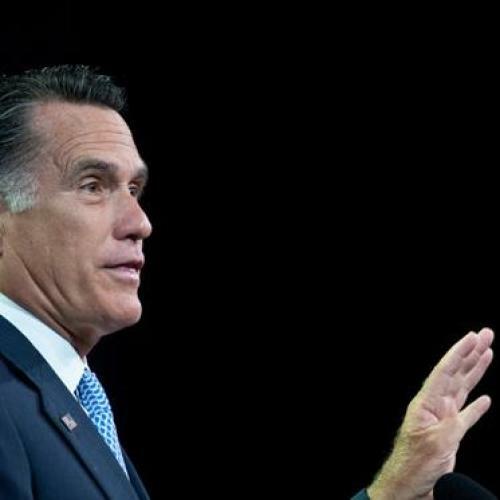 Already, there are rumblings about whether Romney violated federal law by having declared on disclosure forms that he had nothing to do with Bain between 1999 and 2002, in contradiction of the SEC filings. But it’s also worth stepping back for a moment to consider the Bain story from a higher vantage. Just a few weeks ago, there was a growing sense amid the East Coast’s Very Serious People that there was nothing more to be said about Bain, that any further attempts to attack Romney over his role there were somehow played-out and, even worse, undignified. That the Obama team was engaging in tacky populism by trying to keep the subject alive. But Chicago stuck to its guns. It was a decision that was anything but a sure thing—after all, there had been many times in recent years when the Obama team shrank from the more populist, harder-edged course, swayed by the murmurings of caution from the Tim Geithners in its ranks. In this instance, though, another instinct won out, a Middle American gut sense that the Bain attacks might yet have more resonance in Dayton and Danville than they had in D.C. In hindsight, it seems like a no-brainer—polling shows the Bain attacks having a clear impact in the swing states where they’ve been focused, and Romney’s now in serious hot water about the latest revelations (despite mystifying attempts by some fact-checkers to undercut the solid reporting of their own colleagues.) But it might easily not have turned out this way, had Chicago accepted the Beltway declaration that the fork had been stuck. A sign, perhaps, of the wisdom of the campaign’s having set up shop on the shores of Lake Michigan, far from the 100-degree echo chamber on the Potomac.